I’m not good at picking favourites. Don’t ask me to pick my favourite book, film or TV show. You’ll get a list. This holds true for Role Playing Games with D&D Ravenloft, Conspiracy X, Panzerfaüste, Call of Cthulhu and SLA Industries all likely to feature (and yes I know Panzerfaüste is a skirmish war game but that just means you’ve not played my take of it as an RPG). But I’ve missed one RPG from that list and its one that has a special place in my heart. Its no more a favourite but it was the RPG that got me a gig writing for Valkyrie Mag. With very little time to go before publication a famous RPG person (and I don’t know who it was) pulled out writing the review. Which was a big deal as 7th Sea was the magazine cover for its relaunch under new editor Jay. Jay posted on Usenet (it was 1999) asking if anyone could review it at short notice. I’d bought it (I’m not sure I’d finished reading it when he first asked) and said I could if he couldn’t find anyone else. So two days later I was sending in a two page review. And so I got my first writing credit in a proper magazine. To celebrate the launch of the 7th Sea 2nd Edition Kickstarter I’ve dug that review of the 7th Sea 1st Edition Players’ and Game Master’s Guides out and posted it. 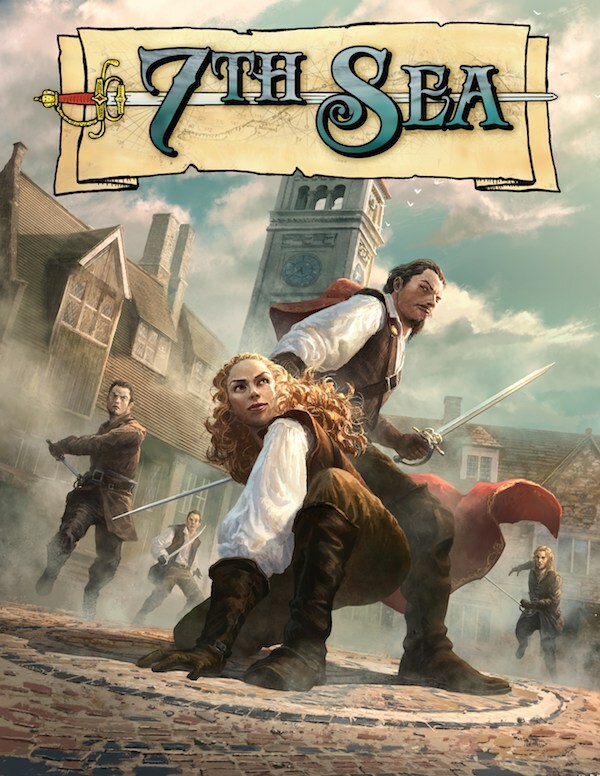 Its not my best writing and back then I didn’t know 7th Sea would make it to my all time list of RPGs but I think its pretty balanced and fair. Also its prophetic because finally with the Kickstarter we’ll get to see the New World.